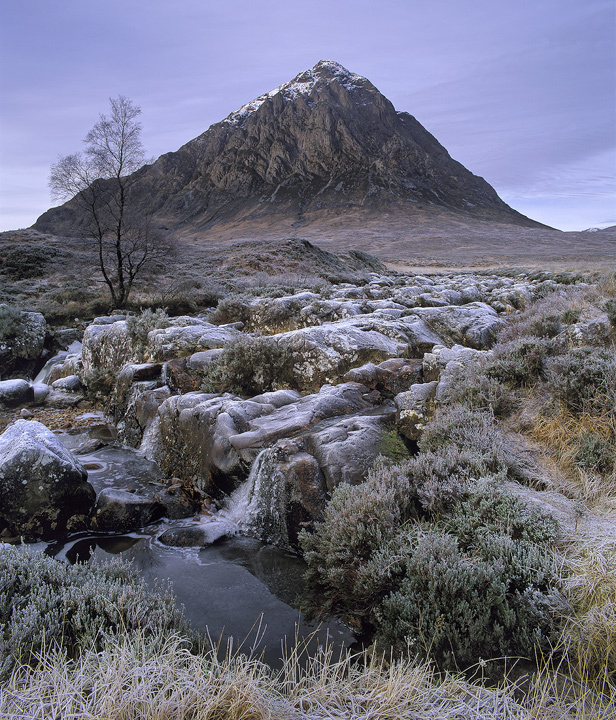 Most folk have a shot of the Buachaille lording it over Rannoch moor and this is currently my favourite. The lighting is indescribably soft and almost shadowless, yet it has managed to put some texture into the tesselated structure of the mountain. It has also lifted the delicate frost muted hues of heather and grass, just sufficiently to reveal a surprisingly rich tapestry of colours beneath. I'm sure this version wont be to everyones taste but it has such a realistic walk into clarity to it, successfully transporting me back there again.